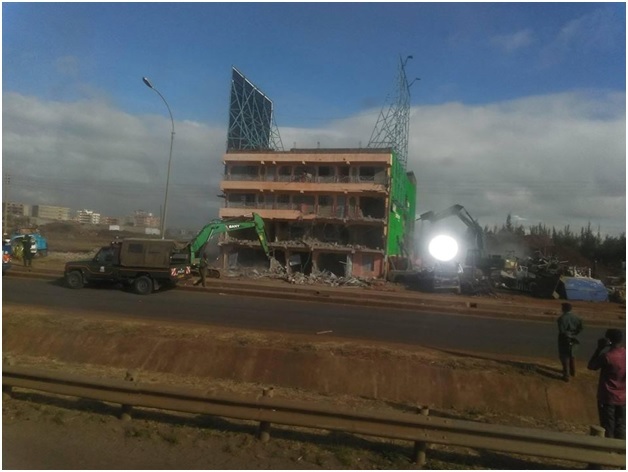 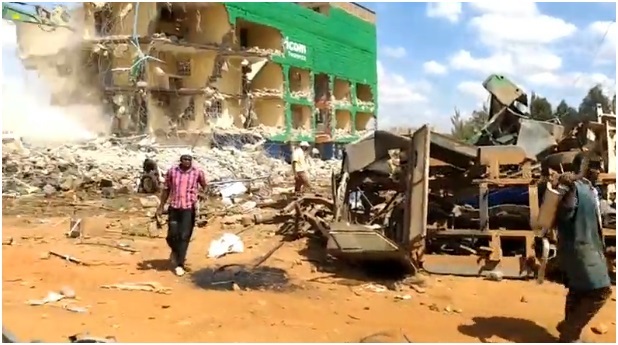 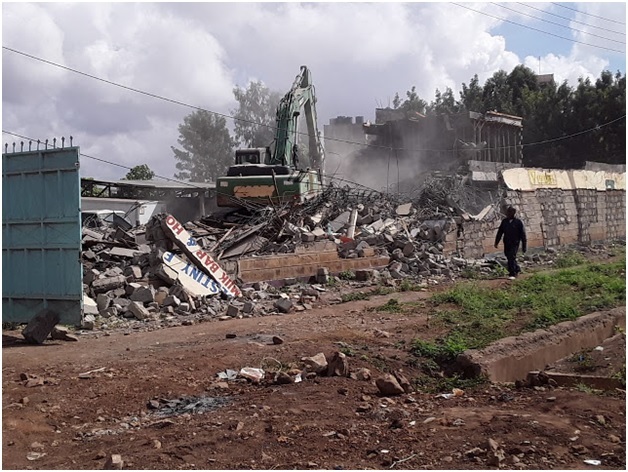 Tuesday, April 16, 2019 - Residents of Githurai woke up to a rude shock on Tuesday morning after the Government carried out demolitions of buildings and small businesses that allegedly sit on public land. 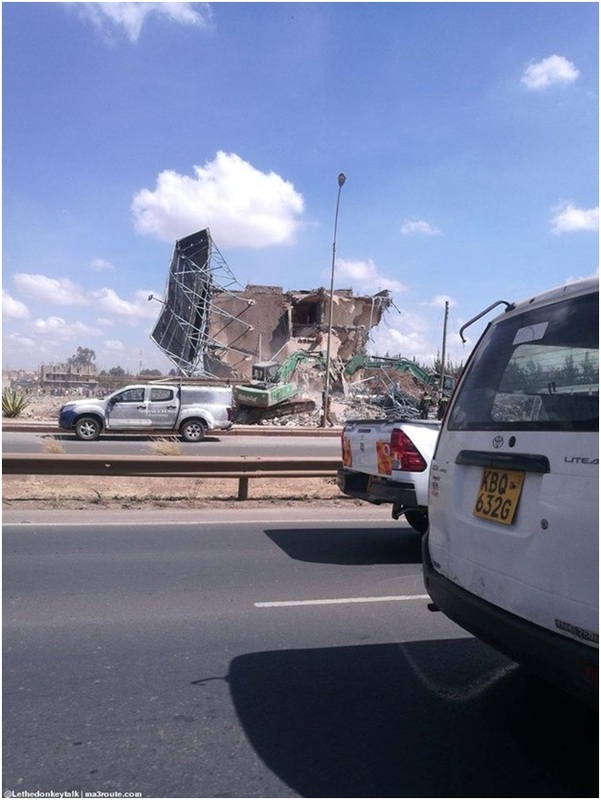 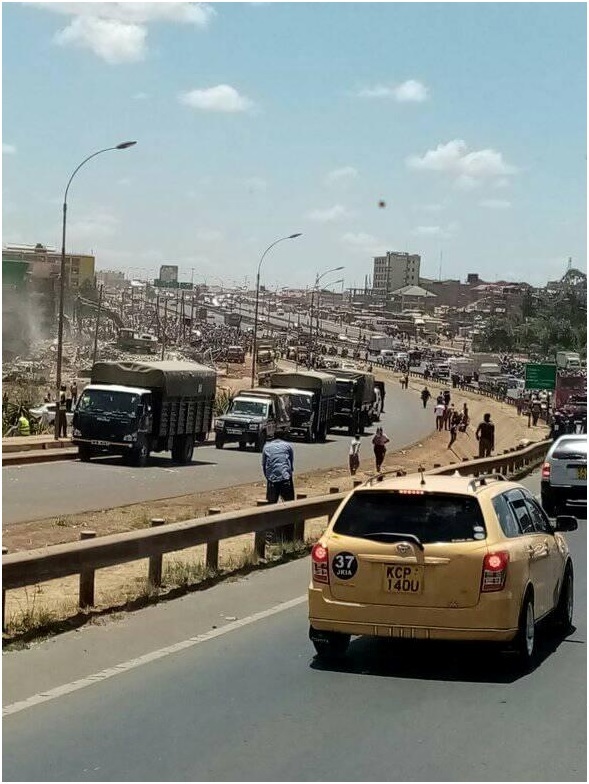 Over 4,000 small businesses were brought down, prompting angry youths to block the busy Thika Road Super-Highway. 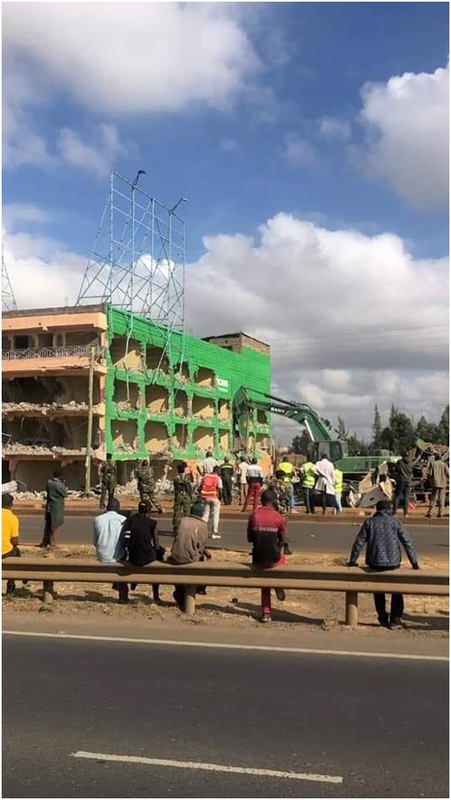 The demolitions were carried out a few meters from where Uhuru Kenyatta and William Ruto were campaigning and begging for votes from a mammoth crowd that had turned up during the 2017 campaigns. 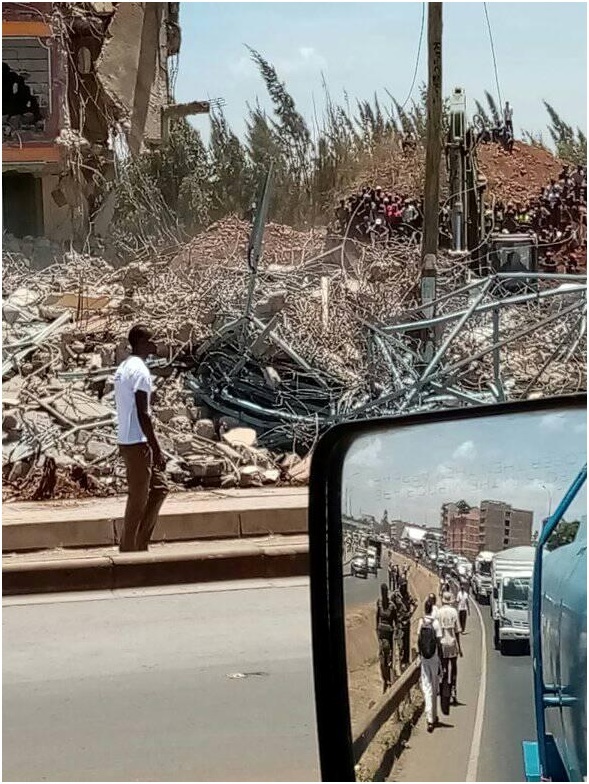 Raila was also stoned a few meters from the sight of the demolitions during the campaigns for criticizing Jubilee. 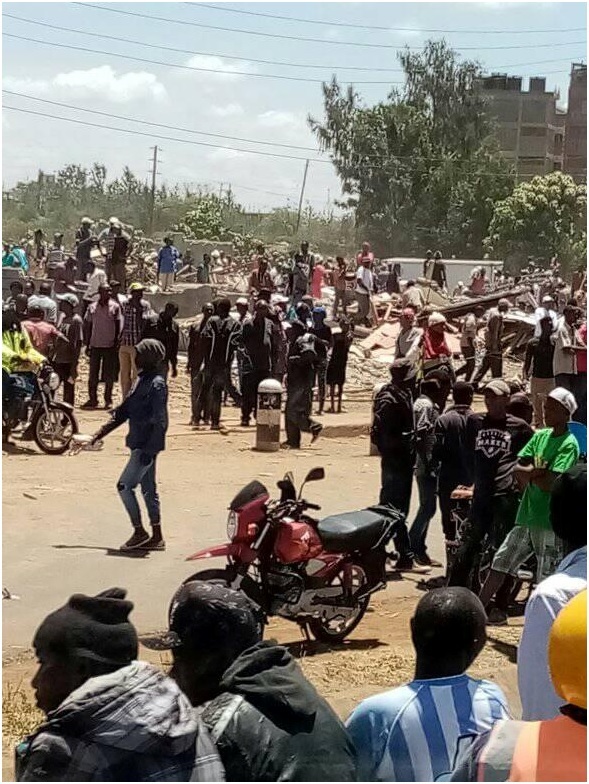 See photos of the demolitons that were carried out under heavy police security.